The $1,000 Travel Tips Giveaway! Up for grabs this week is a $1,000 two-parter. You’ll have a chance to win $500 in Member Rewards (1 Member Reward = $1 USD) to get FREE hotel stays all around the globe (!!! ), AND a chance of winning $500 in cash if you decide to blog about this giveaway too (so really, we’re giving away TWO $500 giveaways today). You can enter both of them, or just one of them, but either way we’ll be giving out $1,000 worth of awesomeness soon. Read on for more info and to learn about our sponsor today! HotelClub is a world leading global accommodation website, which was established in 1996. HotelClub provides over 73,000 accommodation choices in over 7,500 cities worldwide throughout 141 countries. HotelClub is part of Orbitz Worldwide Inc. Through its unique rewards program, HotelClub Rewards, members earn Member Rewards (1 Member Reward = $1.00) of up to 7% of the value of every booking made, which can then be redeemed on future hotel bookings, any time, for any hotels in any country (Awesome!!). 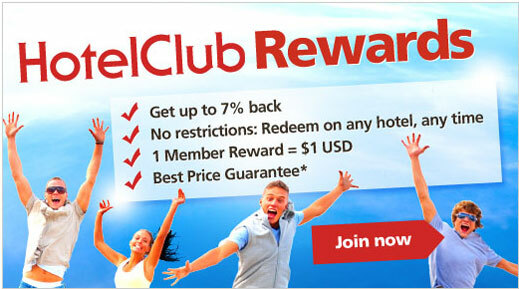 HotelClub also offers a Best Price Guarantee. If you book a hotel on HotelClub, and then find the same room type, in the same hotel, for the same dates at a lower price elsewhere online, you will be refunded the difference. (Conditions apply). How to Win the Two $500 Giveaways! It is *very* important that you put this line of text AND both links along with it in order for our entry to count – so don’t forget! One winner from these blog posts will win the $500 in cash :) But be sure to also leave the blog link in the comments too! Not only so that we can see you’ve posted about it, but also so you’re entered in the $500 credits giveaway too! You may win both? The entries will be judged on creativity and awesomeness, so make sure to submit your *BEST* tips! The winners won’t be picked randomly, but instead by the wifey and I ;) So make them good! You have until next Wednesday, May 30th, @ midnight to submit them, and we’ll announce the two winners shortly after. GOOD LUCK!!! I can’t wait to give out the $1,000!!! Woohoo! UPDATE: The winners have been announced! Woohoo! always pack non-perishable items to eat for snacks so you don’t end up swiping your card all day and night! Go to the grocery store and buy food for most breakfastes (cereal, bagels, fruit ect) and lunches (sandwich stuff, chips, ect.). This will save a ton especially with Hotel food prices. Ask the hotel clerk and other locals you run into for recommendations on places to eat. The locals usually know better and cheaper places than the tourist trap restaurants. I would go with Matt above (and since he is my husband!). A big saver for us is to buy breakfast and keep it in the mini fridge at the hotel. We usually by bagels and OJ for breakfast and grab a few items for snacking; I blogged about it here http://www.travelmiamor.blogspot.com/2012/03/traveling-on-budget.html. I also did this when I studies abroad. I brought peanut butter, instant oatmeal packets, granola bars and boxes of raisins. I had breakfast every day while I was there and it saved me money and time since I didn’t have to go to the grocery store that offten! When I travel, I do two different things to get the best experiences at the lowest prices. 1. Watch the daily deal sites of the city you will visit a few weeks before your trip for great discounts on activities, food, etc. I have found some great deals as well as things to do in the area just by shopping ahead. 2. When traveling, use Yelp or other user driven recommendation services to find the best local spots while avoiding tourist traps and overpriced restaurants and services. Always shop around and book online, it’s usually cheaper than booking with an agent. Travel with friends! I am going to Ireland in 3 weeks and 6 of us are staying in a three bedroom cottage with a kitchen. We’ll be shopping at the local store so we’ll do the breakfast/lunch thing at home too and eat out for dinner. Always bring an empty water bottle or container with you when you go anywhere! At the airport you can go through security with it and then fill it up at any of the restaurants with ice and water which will save your around $4 (depending the airport of course). If you are on the road when stopping at gas stations and such you can use the bottle to fill up ice and water from their pop machines. I have to agree with having your navigation system with you. Mine’s on my smartphone and definitely helped being that I was in a place I’ve never been to before (Miami). The best tip I have is don’t book a hotel. This may seem counter-intuitive, but I booked a hotel online and paid $80.00 per night for a room (which I thought was a good deal! ), but then I got down to Miami and went to a Denny’s and found there were Hotel brochures in the lobby where I could call and get a rate of $60.00 per night at the same place! They also had these brochures at the visitors center and there were tons of deals for other places as well. So ontop of that tip, visiting the visitors center is a good way to pick up on some discounts and find fun things to do while you’re traveling! Eat out for lunch and have sandwiches or cook for dinner. If you are on a driving trip instead of flying you don’t necessarily need a room with a kitchen… just pack a camp stove for an easy way to have an inexpensive dinner, breakfast or lunch. Always research your trip thoroughly before leaving to seek out the good deals on hotels, attractions, etc. My husband and I are have a tight budget each year for our vacation and the hubby is amazed at what I come up with for us to do each year… all by looking for those deals. I just put a blog post in the queue about my vacation, which includes this travel tip – rent a private home instead of going to a resort. It is at least 1/3 the cost and much more relaxing. Someone can save thousands on this tip alone! My best tip for saving money on travel is trying to find the best deal on where you’re staying! You could do a house swap and travel the world! Or you could use Airbnb. I used this for our Miami trip last year and it was great. Or you could use Priceline and bid for your hotel. Definitely no need to pay full price for a hotel! My best tip for saving on travel is to actually budget your days and plan ahead. Know what you want to do each day, where you’ll eat, when you’ll stop, and how to get there. If you know where you’re going or what you want to see you can watch the local deals, search affiliate programs through current memberships (car clubs, zoo memberships, credit cards). Spend a little extra on a hotel with some amenities that suit your needs. On a recent trip to Denver we spent around $80/night on a hotel with complimentary breakfast, cocktail hour, social hour, and full kitchens in each of the HUGE two-room suites. We figured that we ate about $30 in food each day and took some with us for snacks. It was amazing! When traveling I try to pick off months. September and Jan have great deals on travel sites and airlines overall have much cheaper flights. My round trip flight fr Milwaukee to Cali was less than half the cost because I went after the holidays in January. Rental cars can add up, but also can help you explore a lot without added flights if you are within an area and you can get fuel efficient cars. When I was in Denver, I put nearly 1K miles but went to 2 mountain tops in one day :) To get to those in a cab wouldve been very pricey! Only setback is if you return it to a different airport there is a fee, but when i’ve priced it more often than not its still cheaper than a quick flight around that area. i stay with family and friends! We cook meals together (which is great fun and a good way to catch up and enjoy quality time with them) and the people that live there can be the best tour guides and show you the less touristy stuff: all for cheaper than hiring a tourguide: AND you save on hotel! LASTLY: i subscribe to living social, groupon, etc for where i’m going. i’ve gotten discount massages, sailing, winery tours, yoga, etc by utilizing these sites. Hey, that navigation tip is one of my best ones! I pack low carb protein bars too, if I’m in unfamiliar territory I like to know I’ve got that option to save time/money. As I am traveling this weekend, I will actually be crashing on the floor of a beach house to save money. Travel in the off seasons – the crowds are less and so are the prices!! We always pack some items for breakfast so that it can save money and time too. My best tip for saving money on travel? PLAN AHEAD! I really hate to force myself to live frugally while on vacation, so take the burden off so you are not stressing ON vacay, and plan ahead. Choose the right deals for hotels and look up livingsocial deals and Groupons for activities you want to partake in. My other tip is to go on a vacay with a family member or friend who is in the military haha. My dad is a Navy vet and we get all sorts of discounts – we stayed at a condo in Hawaii off of the beach for less than $20 a night. It had all the amenities and it was beautiful… if we had stayed at a regular Marriott’s with the same view it would have been over $200/night. Planning ahead! Saving specifically towards the trip. Also be sure to use club memberships that offer discounts! My alumni association offers rental car discounts & some hotel discounts — worth checking beforehand! Always try to find a place that has a small kitchen. You would be surprised on how similar the rates are to rooms without a kitchen and that way, you can buy your own food instead of eating out for every meal. It saves my family hundreds of dollars every vacation! We usually stay at a Candlewood Suites on road trips because they all have kitchens and AMAZING rates. i like to use sites like vrbo or home away to find better deals on accommodations. If you’re traveling to a city, learn the local transit and bring your walking shoes. You’ll save a boatload of cash on cabs, see parts of the city you didn’t anticipate and probably find something awesome. Scope out the college area of the town for food and nightlife. Chances are you’ll find great food and cheap drinks. If you do want to splurge on a nice restaurant or bar, go early and sit in the bar area. Later on that night, go to the college district to fill up on cheap tacos and beer! My travel tip is to pick accommodations that allow you to prepare your own food. That means something with a kitchen or kitchenette. You will learn way more about a strange culture by spending time with them in their local grocery stores and markets. We always hear “eat where the locals eat.” Well, the locals eat at home with food they bought from the store, not in that trendy restaurant in your guidebook. This tip will not only save you money, it will help you learn and have a more authentic travel experience. Grocery stores are a surprisingly easy place to meet people, as well. These are great guys, keep them coming!! And so far the odds are looking REALLY good for y’all ;) Two people are about to be super lucky! I use booking sites that compare for me…I pack snacks that will last in my bag, and I book hotels that have free breakfast! My tip is to avoid hotels and try house swaps. I have done 3 house swaps to save money on hotels and eating out while traveling and they were all amazing experiences. We live in Victoria, BC on Vancouver Island and my wife and I had a great experience spending time with different people. The first house swap was in Albuquerque New Mexico for the famous Hot Air Balloon festival. We stayed in a couple’s annex or extension to the house and it had a gorgeous soaker tub, king-sized bed and kitchen that enabled us to save money. This is the most memorable because this is where I proposed. We did another house swap to another island in BC (Saltspring Island) where accommodation also would have been expensive due to a supply demand problem in the summer. Finally, last summer we did a house swap with a couple in Long Beach, WA that had a gorgeous vacation home on the ocean with bikes and a king-sized bed. We do not have a television so it was a nice treat to see 2 50″ HDTVs and a lovely kitchen to prepare our fresh seafood. I love using the ice bucket as a small cooler for soy milk because I can’t drink milk any more. I have also used the bathroom sink as a mini cooler for drinks or stuff I bought at a grocery store. Its a nice way to have cold drinks if the hotel has no mini fridge. When the wife and I went on our last vacation to Hawaii, we used social media-driven resources like Yelp, Twitter, and FourSquare – you can tailor information from these sites/apps to a particular location and see what people (locals) are raving about. Yelp: when dining out, go for cheap (single $, highly-rated places), or search under the “Recreation” section for free activities. With FourSquare, see where people are “checking in” and look for high-traffic places that may meet your likes/needs. You can also use Twitter on a smartphone to look for tweets that are posted near you! A lot of times, restaurants will tweet deals/coupons that require you to just show the tweet to the server to get the discount (we got free desserts this way at Duke’s and Kimo’s in Maui). Finally, and this one I like the best, optimize your searches – type in something like “cheap activities in ” or “low budget options in ” in Google and then narrow you search results to “Discussions” which will pinpoint you to message boards that are having these very discussions! During our last trip, we found all the cheap, tasty, non-touristy eats, the least crowded but most authentic beaches/bars/coffeeshops, as well as some great hikes that cost ZILCH! Instead of buying food in the airport/on the plane, bring small bags of munchies and put them in your carryon. TSA won’t allow liquids, but baggies of cookies or chips are fine. If you stay at a hotel request a refrigerator in your room. Some places charge you extra for this, but a lot of times they will provide one for free. Before you arrive at your destination stop off at a local grocery store and pick up snacks and drinks that suit your fancy. On one recent trip my husband and I picked up the basics like milk and juice, but also a small basket of strawberries. Rather than paying $20 for chocolate covered strawberries served by the hotel we bought some chocolate and made our own. Best of all you don’t have to worry if room service is available. If you are in the mood for strawberries at 3 am that’s when you can eat them. We’ve put all sorts of things in these mini-fridges including lunch meat to make picnic sandwiches and milk to eat with our cereal. Having a refrigerator also lets you store leftovers from that fabulous restaurant where you dined earlier in the day. You won’t have to leave half a crab cake or cheeseburger behind. Some hotels provide microwaves if you want them warmed, but I personally love cold leftovers. Between the snacks and leftovers you can avoid room service with all of its extra fees and service charges. My best travel tip is if you are staying at a resort book the all in inclusive food and drink package after you have arrived usually you will save tons of money because some of the sites charge a markup for all inclusive packages. This will work in your favor when the county you are visiting has a favorable exchange rate when compared to the dollar. 1) While booking airline tickets or hotel rooms, just before you book try searching for the same fares on all travel sites. Often one of them will be $5 or $10 cheaper. So on 2 tickets, you save $20 which can pay for lunch. 1. My best travel tip is to use points and miles to get free flights. My flight next month will be my 5th free flight so far. We haven’t paid for a flight in about 2 years, saving a total of around $1500. I have enough points left for our planned trip to FL later this year, as well as most of the points needed for a flight to visit my friend on St. Kitts (those 3 flights = another $1000). 2. If we can’t stay with friends/family at our destination, we stay at a campground with facilities or try to book a hotel room with a kitchen so we can save money on meals (or a hotel with free breakfast buffet). If we do have to pay for a hotel, we tend to travel off-peak. We got nice rooms on the Vegas Strip for $30/night because we went the weekend after New Year’s. 3. Whenever we go somewhere touristy, I make sure to look around online for coupons and discounts before we leave, so I can print it out. Finding a printer while traveling is a challenge. My bloggers love to keep it cheap. I’ve shared my tip and your giveaway on my blog. Thank you for this great giveaway and giving a forum to some unique and creative ideas. WANT TO GET PAID TO TRAVEL TO EXOTIC LOCALES? Are you interested in experiencing the world but not sure how you will be able to come up with the money? JOIN THE US MILITARY!! Earn income while on working vacation in exciting locations abroad! Accommodations may vary depending upon the travel destination. The US military reserves the right to schedule and change travel destinations without advance warning, desired locations not guaranteed. Hazardous duty may be compulsory and creature comforts may be reserved for select VIP members. Contract required. Contact your local recruiter for terms of agreement. ***In all seriousness, aside from the infamous combat zones there are duty stations and missions around the world that do provide a low-cost (or free) way to travel and experience all the great things foreign countries have to offer. Of course this frugal option isn’t for everyone! Kidding – My favorite way to save money is visit friends and family living in cooler places than you. That way you have a free place to stay and they know the lay of the land which also helps. Be flexible with travel dates and airports. I shifted a flight to a day later on the outbound and inbound and saved $540 on a $1300 international flight. And food is a big one too. I agree that if you can cook and get your own groceries you can save a bunch! Use a small bag,that way you can never over pack for your holiday,you can carry it on the jet,no need to worry about lost luggage,and while everybody else is waiting for there bag you are gone. I choose to rent houses because with three little kids a hotel can get crazy expensive. Since the kids are young, nap time is great because I don’t have to sit in a dark room while I wait for them to sleep. Of course this is counter intuitive to the sponsor but it works great for us. PS this usually is best used on week long vacations. I have stayed with family, friends, and internet friends I have never met in person but shared the same hobbies and with whom I corresponded with for a very long time. If I have to stay in a hotel-I look for one that has kitchenette and pack my own coffee, snacks, alcohol/wine, etc. I also look for the free breakfast and happy hour. I buy fresh fruit, vegetables, bread and deli meat and eat in my hotel room instead of in a restaurant. I look at discounts on hotels offered by my credit card companies and any groupon/living social/other discount groups. If I stay with friends/family-I research great food and purchase Restaurant.com coupons to treat a meal or several; sometimes I will send food packages ahead-such as Omaha steak packages. I love to cook and bake, so I often treat the hosts to great meals. I have also taught courses in local colleges or art museums or have done demonstrations of my interests in artists venues in cities I wish to visit-that often pays for or reduces my out-of-pocket.Great comments for everyone-I will travel with more discount ideas!! For most of our trips, we rarely spend much time in our hotel–it’s just a stopping point to sleep between activities. So we skip all the big amenities and go for cheap motels. Also, packing snacks is a big $$ saver. We snack a lot on the road trip in to places (we drive whenever feasible rather than flying), and it’s good to have munchies on hand in the hotel too in case you get a little hungry between meals. Saves you from having to spend so much $$ eating out. My fave tip for saving on travel is to make sure the room has a fridge and microwave. Then buy foods that you can store in there and heat up in the hotel room so that you are not stuck paying the higher prices at the hotel restaurant. My biggest travel trip is to never pay full price for anything you do while you’re away. For us that means finding reduced prices on flights either by finding the best deal or off peak flights, or by using rewards credit cards to get free flights. Once we arrive we tend to stay at hotels we’ve found deals on through deals sites, hotwire or other booking sites (like HotelClub Rewards?). Finally we always try to buy food at grocery stores and eat some of our meals in while we’re away, and then eat out a few nice meals. My favorite is using “Bid Now” on Priceline. We’ve gotten 5 Star hotels for under $100 using that. Or… rent a vacation rental instead of a hotel. That way you’ll get a kitchen so that you can save money by cooking meals instead of eating out. And you’ll likely end up with a much more comfortable and charming place to stay. vrbo.com, homeaway.com & airbnb.com are all great sites for vacation rentals. I always bring an empty water bottle with me so I don’t have to buy the overpriced airport bottled water! From a lodging standpoint, working for a hotel company (or having friends / family who do) is a huge benefit. Discounted or free rooms where you want to go? It’s great. I’m also a big fan of visiting friends. You know how when a friend moves they say “Feel free to come and visit – I don’t know anyone here”? I’m that person who actually goes. And here’s my blog post about another favorite money saving tip: Eating Breakfast. I love to go out for breakfast, I don’t have time normally, but on vacation it’s a treat – and less expensive than going out for lunch or dinner. The picture was from a breakfast restaurant I scouted out using Yelp reviews in San Francisco – so delicious! And Clif Bars. Bring those. My best travel tip, would be to the kids at home! I always try to get my airfare & hotel booking at least 6 months. Wait a great deal from HotelClub on every Tuesday. Food tip: For any Travelling Foodies out there, instead of splurging on dinner at the top rated fine-dining establishments in your travel destination, check out their Lunch specials- they often offer great 2 or 3 course menu options at a fraction of the price! Travel tip: For any Roadtrippers, when entering a big city destination, you might find that most hotels charge a bomb-load extra for parking. If so, try to find a nearby public space, like a Park or Botanic Garden, or in a smaller residential street on the city outskirts, where you can park your car on an unrestricted time limit. This may mean leaving the car a few blocks from the hotel, but may save you anywhere between $20-50 per night on parking, and will force you to throw on your walking shoes and explore the city how it should be explored= foot power. Because we travelled from Australia, we planned well ahead and stayed at cheap hotels that had a fridge and microwave and most of them had free beakfast. Took our own Navman and bought food at supermarkets for a lot of meals, we found public transport very accessible and even worked out how to use the Subway. Do lots of walking because you get to see lots and doesn’t cost anything. New Jersey hotels (especially Hampton Inn) were great and only a short trip to New York on the bus. In addition to using discount coupons, I usually book pretty much everything via cashback sites like ebates, topcashback, mr rebates etc. IE ebates gives 7% on hotelclub. Sometimes these sites run some specials and will give you even more like ebates offered 13% cashback on hotelclub recently. I usually book hotels with at least 10% off coupon and with 7-10% cashback, thats almost 20% or more off the hotels which constitute the largest expense for our trips. If roadtripping, always try to check the net for local “Relocation” deals= many car and campervan companies offer free or very cheap car/ campervan use in exchange for you driving their vehicles to a specific destination. Often you can also score a fuel allowance! Buy plane tickets on Tuesdays or Wednesdays when fares are cheaper. Thanks for the chance to win! Instead of making an extremely expensive call via your mobile or a hotel phone, take a trip to a nearby internet café and speak to your loved ones online via Skype for free. Always flight search Monday night, Tuesday and early Wednesday. You find your best deals during this time. Pack snacks to eat while you travel, rent lodging with kitchen so you can cook meals instead of eating out, save on entertainment/food/lodging by purchasing groupon, eversave, living social or savemore vouchers. If you are vacationing in the summer, right now is the best time to buy an Entertainment Book for the area in which you’ll be vacationing. I just purchased 2 of them (one for home)for less than the price of one when they are “new.” Plus, I purchased them through Ebates, so I’ll be getting more $$ back. I fully expect them to pay for themselves many times over before they expire in Nov.
2nd tip: Lowball Priceline for the least amount of Stars you would consider. For instance, I am afraid of anything less than 31/2 (due to experience) so I will enter the lowest possible amount on a 3 1/2 – 4 star hotel. The worst that could happen is they decline. Always worth a try, and I have been VERY lucky many times. I figured I can only have one entry but here’s a link to my second post just in case you want to read more: http://www.onefrugalgirl.com/2012/05/how-to-save-money-on-food-while-on-vacation-part-two/. That one talks about packing snacks. The third one, scheduled for tomorrow :) focuses on packing. Thanks for the inspiration. I was in need of a new topic this week. Plan ahead. I always travel with snacks–partly because if I miss a meal, my travel partners may want to leave me! But on local trips, snacks and breakfast type items help me save from overspending on things I don’t want to spend money on. On long trips, I take an extra memory card for my camera and anything that it’s costly to buy, like batteries. if I see a good airline credit card sign-up bonus, I jump on it! I always check the forums on http://www.fodors.com and talk to people who have been to the area before. They usually have GREAT tips on how to save money and what is worth spending money on. (Oh look- the article on their main page is free things to do with kids in New York City). When you need to foreign currency when traveling, DO NOT use the exchange counters in the airport. Simply use your ATM card for the best rate. Even if there is a transaction fee, it is usually much better than the subpar exchange rate found at the currency counters. Also, get a credit card without any foreign transaction fees. 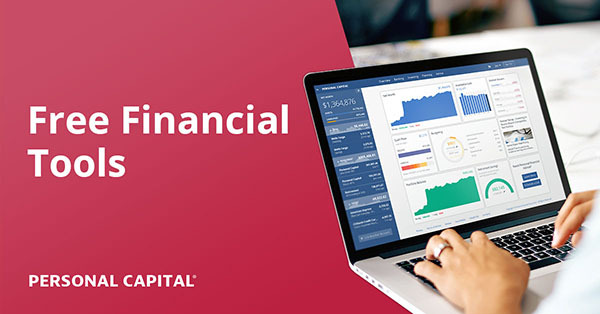 My recommendation is the Capital One Venture which pays 2% of all purchases. Pack light! You’ll save money by not paying for extra baggage on a plane or you can walk or take public transportation easier instead of having to get a cab for all your luggage! It’s also much less stressful to have less stuff to worry about, and you can just enjoy your trip! I always look at renting an apartment/condo/house in my destination. It is usually cheaper than a hotel, and you can save money by cooking some of your own meals. I book rental cars on hotwire for the best pricing. Start planning for your trip early so that you have plenty of time to look around and take advantage of airfare sales, advance purchase rates on hotels and fluctuations in exchange rates. It also gives you extra time to get your spending money together! My tip on how to save money on travel is to avoid eating out while traveling. I know that a lot of people love to eat out when they reach their destination and it is part of the vacation feel. That isn’t what I’m talking about. I’m talking about eating out when you get in the car and drive or get on a flight and fly to your destination. The best part about this tip is the bigger the family the more you save! My post discussing this tip further in detail will be going live at 5:00am on May 28th and can be found at the following link! http://www.moneylifeandmore.com/my-tip-for-how-to-save-money-on-travel-227/ I really hope I win either prize because I have a cruise coming up in October and some extra spending cash (or a hotel room for the night before) would be an awesome supplement :) All of the tips I’ve read so far are great so I’m sure you’ll have a hard time choosing. Bring food along so you don’t have to eat out all the time. I research on the computer for the best travel deals well in advance of my trip. I usually start one year ahead of time if it is for a long vacation. The best way I’ve found to save money on travel is to plan ahead by creating a travel fund that you send money to monthly, which then allows you to be ready to jump on a screaming deal when it comes around. We got an awesome trip to Paris for a ridiculously low price by doing exactly that. My best tip is to try to find discounts wherever you go. AAA discount, entertainment book discounts or I even do internet searches for discounts. Have friends/family drive you to airport to avoid paying for parking. Always save money in advance and check online for traveling packages. The deals online are amazingly affordable for destinations near or far. I use MyPoints and this year redeemed the points for a Bed & Breakfast gift card. You earn points by clicking on e-mails (you can also earn points by signing up for special offers). One of my best tips for saving money on travel is to start planning early – ppl usuall jack up their prices as the date of travel gets close. My best tip for saving money on travel is use priceline or hotwire. I’ve saved hundreds on hotels by booking through these sites and there are several websites which can clue you in on what hotel you might be getting. I have so many it is hard to choose. I always take food with me plus I save gift cards I get from taking surveys and from swagbucks and lucky points for restaurants. I also check restaurant.com. I also save gas gift cards. We love to save money by fixing our own sandwich and drink and carrying a cooler with us. This way, we can just eat what we have. I check all the best deals and groupon deals on my smartphone before we leave! A void excess charges: on luggage, in room, etc. For my family, we always stay in a hotel suite that has a kitchen. With two small children, it is a money saver for us to cool most meals in the room! my best tip is to PLAN AHEAD!! I like to drive rather than paying for a plane ticket. With a family of 4 it cuts down on costs. Check the prices online (including whether the AAA rate actually saves you anything) and also call the hotel directly — sometimes the direct rate is significantly cheaper than anything on travelocity, hotels.com, etc.! My best tip for budget travelling is to plan ahead for tours and excursions by checking the local blogs and forums for tips and bogo coupons. It’s amazing what you can find when you take a little time to research the areas you are heading too. There are tons of ‘kids eat or attend free’ events and restaurants that are posted about that people wouldn’t otherwise be aware of. Also, for day trips it’s best to pack snacks and refreshments to avoid paying tourist prices. Have fun. Biggest money saving tip is to plan wisely for food. Select a reasonably priced hotel that offers free breakfast and includes a refrigerator and microwave. Bring along some snacks or stop at a local grocery store to get some staples. My best trips are the budget travelling that can go anywhere. First I will booked hotels and airlines via the agencies that is cheapest. Second I will prepare everything before travel around 2 weeks. Finally I can do anything that I planned. I’m so happy every times when I traveled with my family. Check Groupon! They have lots of deals everyday. If at all possible, buy groceries and eat at the hostel, or eat in your hotel room. This will help you keep your food costs down. Eating your breakfast and lunches in your hotel room or hostel can easily save you hundreds of dollars on your vacation. My best tip is to always search online for coupons not only AT your destination, but at the towns you may pass through getting there! I’m a foodie so…when I know where I’m going, I’m on a discounted food hunt. I check and purchase the appropriate Restaurant.com certificates, Groupons, Living Social Deals, and Double Take Deals associated with my region of travel. I research the local restaurants and join their e-clubs. Usually, you get first-time member coupons like free appetizers and if I’m lucky – Buy 1 Get 1 free entrees. If we happen to be traveling on one of our birthdays, we receive double coupons or “better” discounts from the e-clubs- like totally free entrees, desserts, and other goodies. Even when I don’t know where I’m going, I am still hoarding food discounts throughout the year like a squirrel. I enter restaurant gift card giveaways to save money while traveling. Fast food gift cards really come in handy during a long road trip! I enter all opportunities (regardless of location) so that I can have a wide range of eating experiences during my travels. I also enter giveaways to win grocery store gift cards (even if they are not in my region) because I can still stock up on groceries for my hotel room wherever I may travel. This has come in incredibly handy when we need to save money on food and drink. Needless to say, I am always prepared to save money on that aspect of travel, which is one of the most important to me – experiencing the cuisine of a destination. If I had to pick one tip as my best, it’d be to invest in water bottle that filters water. If you’re one who doesn’t care for water (or maybe your children won’t drink it willingly), buy a box of single package lemonade or Kool Aid flavoring to add to your water. If everyone in your traveling has this water bottle with them all the time, the savings can be quite significant over the course of a week. My best tip for saving on travel is to bring your own snacks. And the fanny pack is seriously my best friend. Credit card, room key, camera, cash and no bulky purse to forget in all the commotion. kristiedonelson(at)gmail(dot)com Thank you. My best tip for saving money on travel? Stealing. No, seriously. Maybe a better term for it is “snagging,” but whatever you call it, it’s saved me hundreds of dollars when I travel (and I travel a lot). So how do you “snag”/”steal”? Step 1) Scope out any and all opportunities for free food. This includes your breakfast buffet (tiered fruit tray? SCORE! ), food spreads at conferences or all-day meetings, and those free packets of coffee in your hotel room. 2) Place “snagged’ items in your backpack or purse (discretely of course). Be sure to load up on quality items like bottled waters and portable foods that will tide you over when you need a snack later, like bananas, apples and granola bars. 3) Remove snagged items from your bag when you’re hungry or thirsty and you’re not quite sure when your next meal is. Scour the web for lowest rates for travel or lodging or whatever. Just keep searching for a better price and go for it!! You can also share meals when eating out, almost always more food than one serving. Be inventive and creative to make the moment work for the positive. Enjoy yourself!! My best tip for saving money when I travel? I pack most of the food and take with us! I always check deal websites for the best deals. And I give myself plenty of time to research! As a mother of 5 kids, eating out on trips is a huge part of our budget. I always scout out the area restaurants for early bird specials. I also do not like order off the kids menu for my 3 youngest kids. I usually ask how large the adult portions are and see if it can be shared by 3 kids. I will also ask them to divide the one plate onto 3 plates before they bring it to our table. I say it makes the kids feel like they all are getting the same amount. This usually has the server make sure that the plates all look about even, as to think the kids will be throwing a fit if someone gets more than the other. Sometimes the plates come back with more on it, than the regular adult plate would have alone. At the hotel, I make friends with the breakfast crew, and desk people. When I explain, that I do not want to take up 2 tables for my family, if they would be willing to allow me to make extra trips back to the breakfast area and to my room to feed them. I never take what they will not eat. ( they might eat the apples later that day, but we do not waste the food) When we leave the hotel at any time, I make sure my kids walk and tell all workers they see, hello and thank them for all that they are doing for them. Not all my kids are just walking right up to them, but the rest will just wave and smile. Also, ask the locals for the best untold area, for eating, shopping or just plain local entertainment. Next post: Did Millionaires WANT to Be Millionaires?